In order to promote skin integrity, we have developed an innovative line of products coated with a proprietary formulation of lanolin and vitamins created to soothe symptoms of dehydration and irritation. 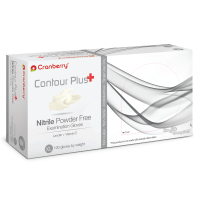 Together, this powerful combination is designed to significantly improve skin health. 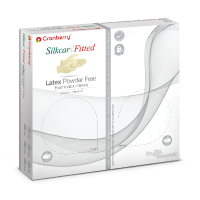 Our Moisture Lock® series helps to internally protect by preventing skin irritation such as dryness, itching, and cracked skin with unique lanolin and vitamin formulations. Intact skin serves as the first line of defense for health professionals, who are at increased risk of hand dermatitis. But keeping the skin healthy can be a challenge for clinicians because of constant hand washing and the need to don and doff gloves throughout the day. According to the United States Centers for Disease Control and Prevention, hand dermatitis is one of the most prevalent types of occupational illness, with approximate costs surpassing $1 billion annually. In order to promote skin integrity, clinicians must take steps to ensure their skin retains moisture and to prevent dryness, which leads to dermatitis. 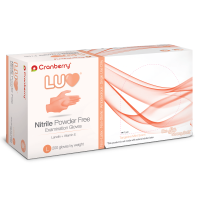 To support oral health professionals in these endeavors, Cranberry has developed an innovative line of products that supports skin health, including gloves coated with a proprietary formulation of soothing lanolin and vitamin E.